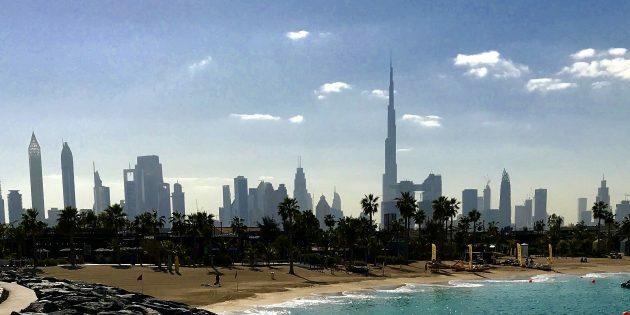 In this post, our founder Abigail Barnes will share 7 things she learned from the Burj Khalifa while on a trip to Dubai. Perspective is everything in business/work/life, and if yours is not as good as it could be then you need a ‘hard reset’. You do it for your computer, laptop, phone, every now and again when you turn it off and on again, so why not try it for your life! I’ve just got back to London from 7 days in Dubai, UAE where I went for my hard reset. I spent my time tanning, planning, walking on the beach, meeting with friends and researching where to hold the 2019 SBD November Retreat. My perspective and energy levels have never been higher! Everywhere I went the Burj Khalifa was visible and it got me thinking, below are 7 things we can learn from this incredible neo-futurist building designed by Adrian Smith and owned by Emaar Properties. If you book your ticket in advance you can save 3/4 on your ticket price. At Success by Design Training, we are on a mission to teach as many people as possible how they can redefine success and create the lifestyle they want. Have you hit a roadblock, (do you need a better way to get more clients/speaking opportunities/manage your time) in your business right now? >> Find out how a Helicopter Session will help you get the perspective you need to overcome it and grow your business.